Back in its day, the fourth-generation Pontiac Firebird Trans Am WS6 commanded respect from car enthusiasts of all persuasions, especially after it received an LS-series V-8 engine later in its production run. These days, fourth-gen F-bodies don’t get nearly as much love, but this tastefully modified example coming up for auction at Barrett-Jackson’s Scottsdale sale is sure to rekindle some of that excitement. 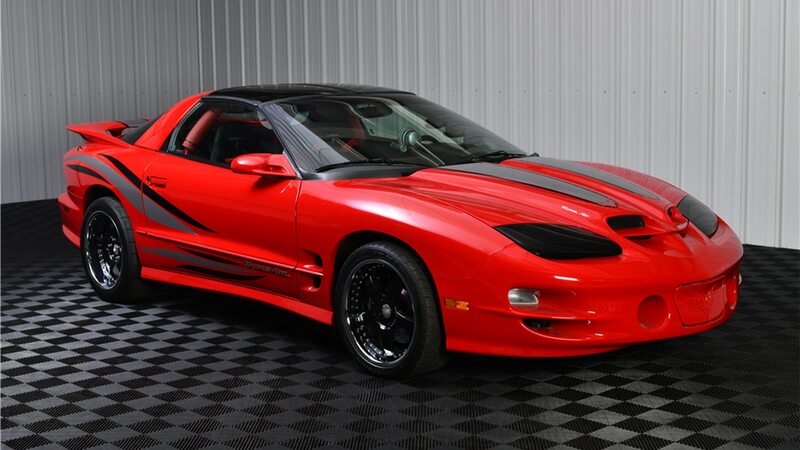 Lot #190 is a custom 2001 Pontiac Firebird Trans Am WS6 coupe that packs a low-compression 370-cubic-inch (6.0-liter), iron-block LSX V-8. That GM Performance racing engine is coupled to an F-1A ProCharger centrifugal supercharger tuned to make more than 20 psi of boost. A high-flow fuel system helps accommodate the high boost pressure, and a custom front intercooler assists in cooling down the charge air. Given the new intake plumbing, the ram-air hood scoops probably aren’t functional anymore. But we could live with that fact if it means having more than 800 hp. The seller claims the car makes 870 hp and 771 lb-ft of torque, which gets routed through a G-Force six-speed manual transmission to a Moser 12-bolt rear axle. The WS6 sits on a staggered set of ZE Forged wheels shod in Nitto Extreme Drag tires. Meanwhile, Wilwood brake calipers and slotted and drilled rotors help stop the red beast. Inside, you’ll find a red roll cage and racing bucket seats with G-Force five-point race harnesses. The Pontiac was built for drag and autocross racing, and is part of the Bryan Frank Collection. 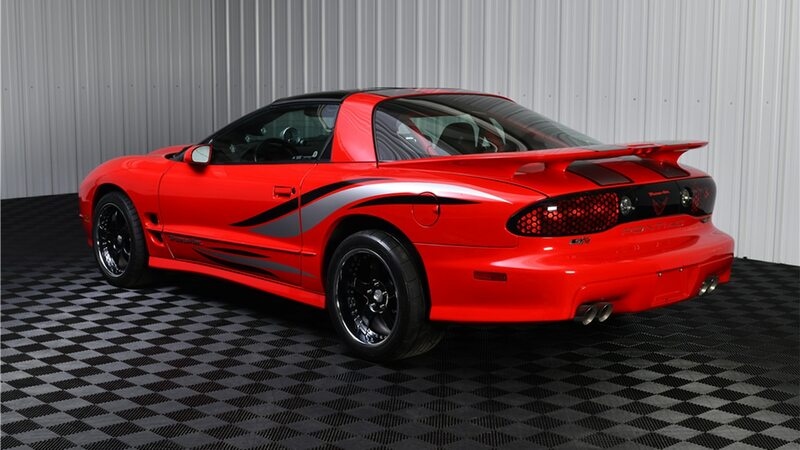 Returning to the Firebird lineup in 1996, the WS6 performance package included upgraded shocks, firmer springs and bushings, larger front and rear anti-roll bars, 17-inch wheels, dual oval exhaust tips, and that all-important functional Ram Air induction system. That system boosted the LT1’s horsepower rating from 285 hp in a standard Trans Am to 305 hp, and increased torque from 325 lb-ft to 335 lb-ft. 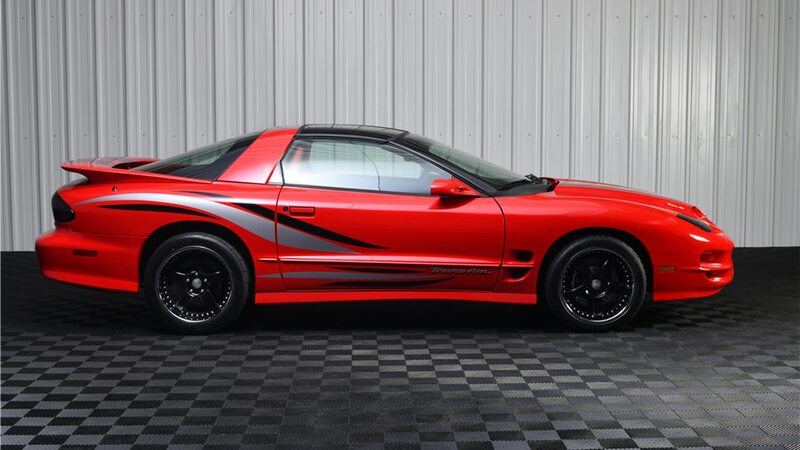 When the LS1 V-8 was introduced, the WS6’s power rating increased to 320 hp and 345 lb-ft.